Snort! Cough! Chirp! Honk! Have you ever wondered why your cat or dog makes weird noises like these? Here’s an alphabetical guide to some of the strange sounds we hear from our pets. 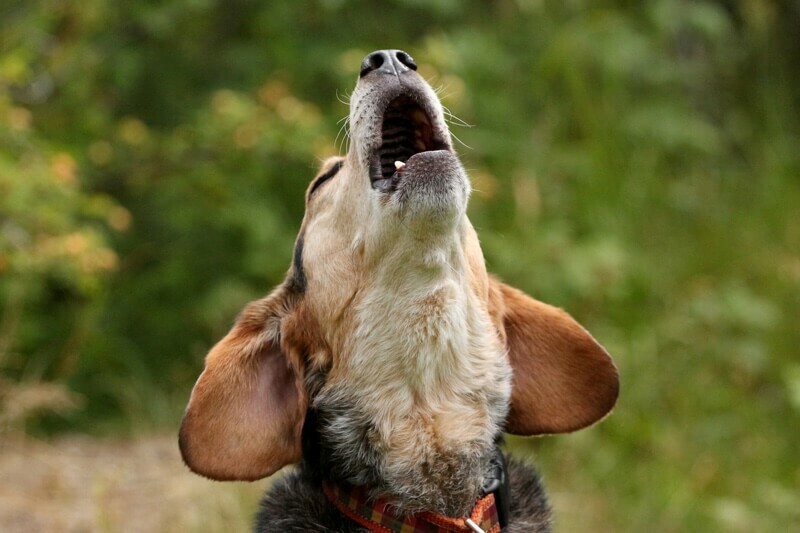 Baying is a long, deep, and throaty barking noise that dogs make when they are pursuing prey. For instance, Bassett Hounds, Beagles, Bloodhounds, Foxhounds, and other scent dogs bay to let their human companions know they are hot on the trail. Dogs might also bay when they perceive a threat, such as an unfamiliar person encroaching on their territory. Some cats chatter as they stare eagerly out the window watching a bird in a tree or a chipmunk scampering around the yard. That chattering noise is in response to the excitement of watching these critters combined with the frustration of not being able to get at them. One theory on chattering is that the cat is mimicking the sounds of birds or rodents to draw them in closer where they can pounce on them. However, this is unlikely since cats are stealthy hunters who sneak up on their prey. They wouldn't want to warn them that they were coming. A cat chirping like a bird can sure sound funny! Those chirping noises are related to the sounds mother cats make to get the attention of their kittens. If your cat is chirping at you, they might be saying, “Hey, come with me and check this out!” like their mother once did. Cats also chirp and make squeaky sounds when they’re happy or overly excited. For instance, playing around with a catnip-filled toy might make a cat chirp with joy. Why does catnip make cats go bonkers? Learn all about this plant and why it does what it does to our cats. Hold your pet with their head facing down. Make a fist and put it under the bottom ribs. Push up several times to expel the object. A hard blow between the shoulders blades can also help in some situations. If your pet is unconscious, you might need to perform CPR to revive them. In any case, take your pet to the veterinarian as soon as possible. Why do cats cough up hairballs? As yucky as they are, they’re actually a natural part of a healthy grooming routine. Learn more. If your pet is frequently gagging or has additional symptoms like a runny nose, coughing, diarrhea, or vomiting, it’s best to visit your veterinarian. Like gagging, hacking is another sound cats make as they cough up hairballs. Hacking can also be caused by Kennel Cough, allergies, asthma, upper respiratory infection, or heartworms. If your pet is hacking a lot, a visit to the veterinarian is in order to diagnose and treat the underlying issue. A dog honking like a goose can sound awfully silly, but it can be a sign of a serious problem called tracheal collapse. This happens when the rings of cartilage in the trachea or “windpipe” cave in and make it difficult to breathe. Some air can get in and cause the crazy honking noise. 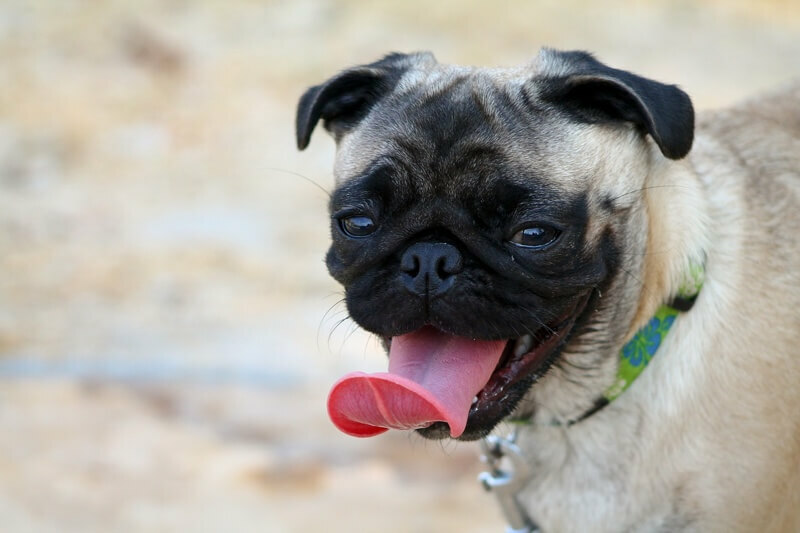 This issue is more prevalent in toy breeds like Yorkies, Chihuahuas, Pugs, and Shih Tzu. Tracheal collapse can often be treated with cough suppressants and other medications to help keep the airway open. In more severe cases, surgery might be necessary to repair the trachea. If your dog is honking, you should visit your veterinarian for diagnosis and treatment recommendations. If your dog needs surgery for tracheal collapse or other issues, Complete CoverageSM can help you manage the costs. Get a free quote. Reverse sneezing usually stops on its own with no lasting ill effects. If you want to intervene, you can try to encourage your dog to swallow by gently stroking the throat in a downward motion or covering the nostrils with your fingers for a few seconds. You should mention these episodes to your veterinarian at your next visit. In severe cases, surgery might be needed to remove the soft palette. Why do dogs bark in their sleep? It’s because they dream just like people do. Our four-legged friends go into a stage of deep REM sleep where they can have all kinds of doggie dreams – from digging holes to chasing birds. And when they dream, they might twitch, bark, and whine. Cats can also dream and have been known to make chattering and chirping noises in their sleep. 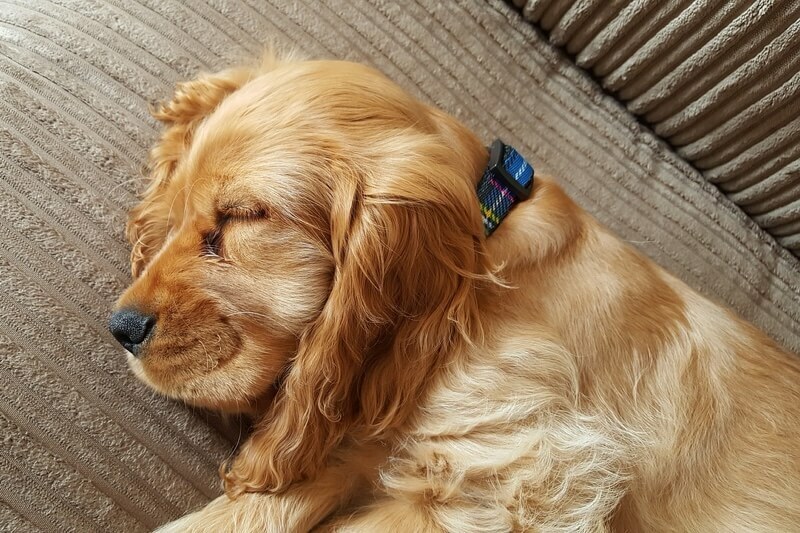 If your pet is having a noisy dream, you don’t need to intervene. In fact, it might be best to avoid waking them up. They need that REM sleep. Plus, they can be confused, upset, and even lash out if they are startled awake. If you feel like you must wake your pet up from a dream, don’t touch or shake them. Use a gentle voice to coax them back from the Land of Nod. Once they are awake, you can comfort them if they seem distressed. 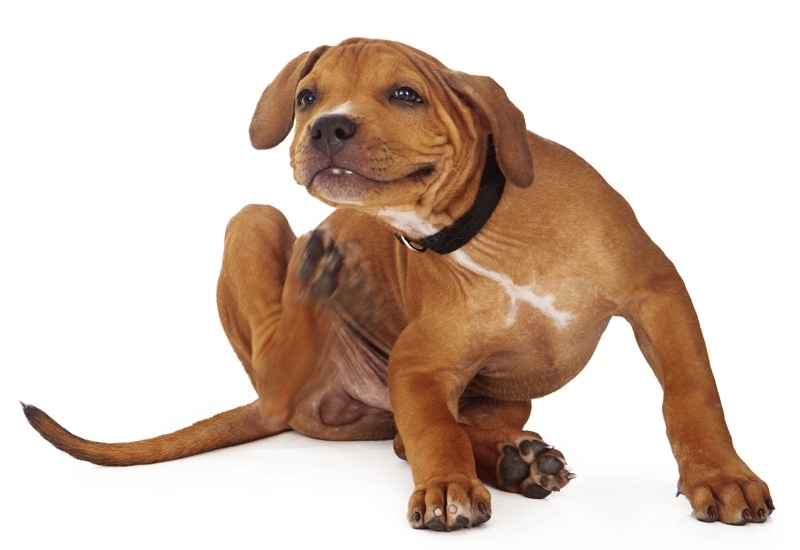 If your pet sneezes now and then, just tell them “Gesundheit!” and go on with your day. If the sneezing is excessive or there are other symptoms, such as a runny nose or eyes, talk to your veterinarian. Snoring can also occur due to your pet’s sleeping position. Back sleepers, in particular, are prone to snoring. Snoring tends to be more common in cats, like Persians, with shorter noses as well as short-muzzled dogs like Bulldogs, Shih Tzu, and Pugs. If your pet’s snoring is sudden or combined with other symptoms, like a fever or a runny nose, you should see your veterinarian. If the snoring seems normal but is bothersome, you’ll need to address the cause to try to stop it. For instance, you can buy a back-sleeping dog a round pet bed, which can encourage them to snooze quietly curled up instead of on their back. Snorting is similar to a sneeze in that it expels air out of the mouth and nose. But unlike a sneeze, snorts are done on purpose. 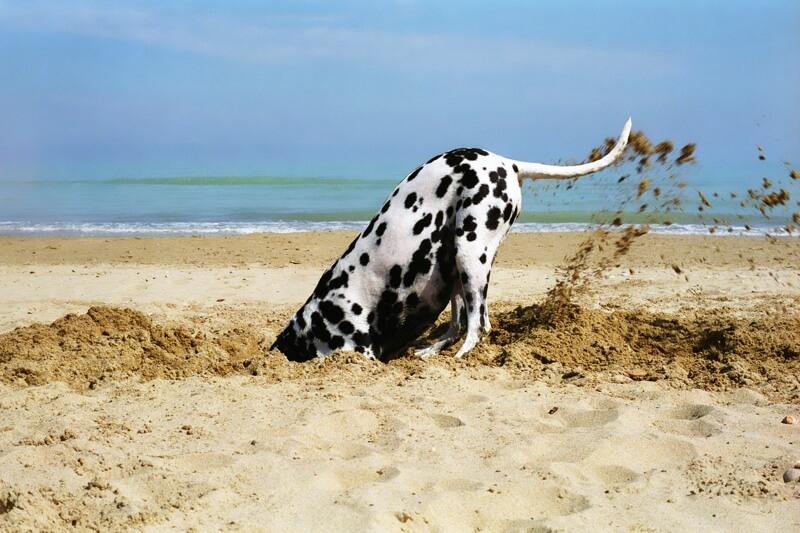 Snorting dogs or cats are often reacting to something that is irritating their nose, like an allergen or a bit of dirt. It can also be caused by a virus or sinus infection. An occasional snort is likely no big deal, but you should talk with your veterinarian if your pet is snorting a lot. There might be something more serious causing all that noise. You should also have your pet checked out if there are other symptoms that could indicate a health issue. A good, loud cat yowl can cut right through a person! Cats tend to make this drawn out moaning sound because they’re hurt, upset, anxious, or feeling threatened. They might also yowl if they’re lost, trying to attract a mate while in heat, or just bored. To stop yowling, you’ll need to find the cause. If it’s boredom, try to spend more time with your cat and make sure they have plenty of safe toys to keep them occupied when you’re not around. If it’s related to mating, you can (and should) have your cat spayed or neutered. 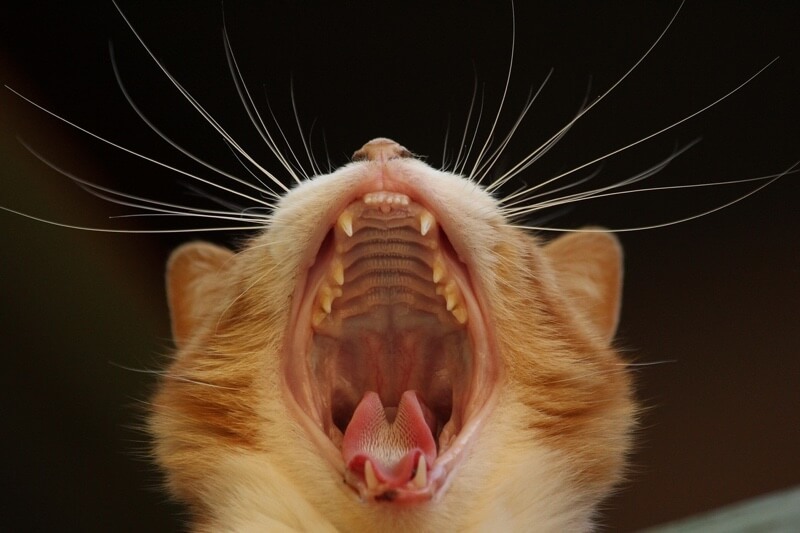 Incessant yowling can also be an indicator of an illness or injury that requires a visit to the veterinarian. 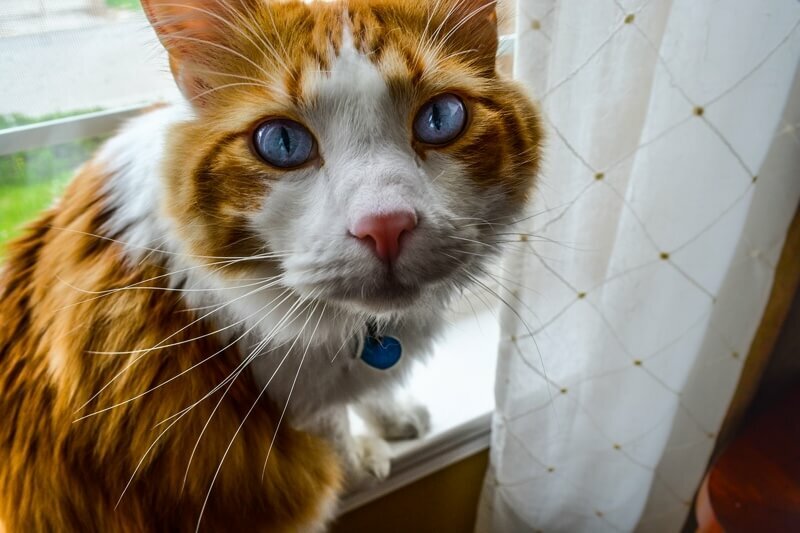 Learn more about cat behavior problems such as constant meowing or yowling and get help with dog behavior problems, including excessive barking or howling. And remember, Complete CoverageSM can reimburse you for the costs of diagnosing and treating noisy behavioral conditions. Get a free quote now.